The Veydra Mini Primes are the first true cinema lenses native to the Micro Four Thirds format. With uniform focus, iris gear position as well as common 80mm front rings, a generous focus rotation, and excellent optical quality, the Mini Primes are perfect for the seasoned cinematographer using a GH4, Blackmagic, or other Micro 4/3 (Micro Four Thirds) format cameras. 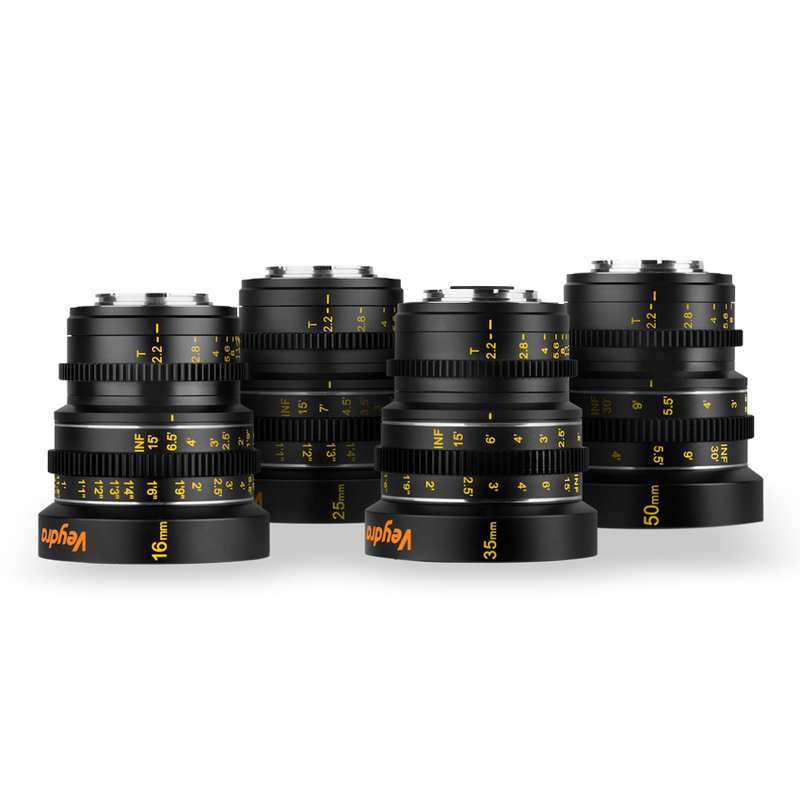 The Veydra Mini Prime Kit includes four (4) lenses: the 16mm, 25mm, 35mm, and 50mm (T2.2).